The Maharashtra government will stand guarantor for loans worth Rs 325 crore extended by Central agencies to four corporations under the state Social Justice department. The decision was approved by the cabinet chaired by Chief Minister Devendra Fadnavis today. 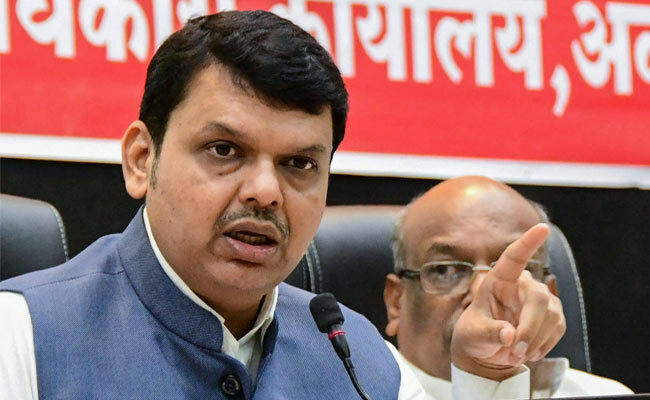 An official in the Chief Minister's office said the state government will stand guarantor for a Rs 135 crore loan given by the National Scheduled Caste Finance Development Corporation to the state-run Mahatma Phule Backward Class Development Corporation. It will similarly guarantee two loans, of Rs 70 crore each, extended to Maharashtra Handicap Finance and Development Corporation and the Lokshahir Annabhau Sathe Development Corporation respectively. A Rs 50 crore loan given to the Sant Rohidas Leather Industries and Charmakar Development Corporation will also get a state government guarantee. The official said the decisions were taken in view of the demands of these corporations, adding that the state would intervene in case they failed to repay the loans. The decision will benefit people in the leather industry and help the handicapped and deprived sections of the society to avail loans as well as boost implementation of various schemes for social justice. A state government release said this decision would help expedite 19,224 proposals which are being looked into by these corporations. In another move, the cabinet approved a three-month local body tax amnesty scheme for 27 villages included in the Kalyan-Dombivali Municipal Corporation (KDMC) limits. As part of the scheme, if the original tax is paid, the interest and penalty will be waived off, a release said. A CMO functionary said an amnesty scheme implemented for these 27 villages between June 3 and August 31 in 2015 did not benefit them much.